Do your utility bills seem too high? Learn how to save money and protect yourself from high utility costs at the Utility Bill Clinic, 10:30 a.m. to 1:30 p.m. on Monday, December 10, 2018, at the McKinley Park field house, 2210 W. Pershing Road, Chicago. 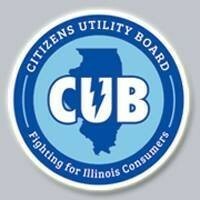 Presented by the Citizens Utility Board and AARP Chicago, the clinic provides free analysis of electric, natural gas and phone bills to hunt down extra, unnecessary charges. Information on improving an aging home and scam protection will be offered alongside one-on-one bill analysis (so be sure to bring along your gas, electric and phone bills). Advance registration is required: Call 1-877-926-8300 to sign up.